You'll have to forgive me for the utter realness of some of the following pictures. 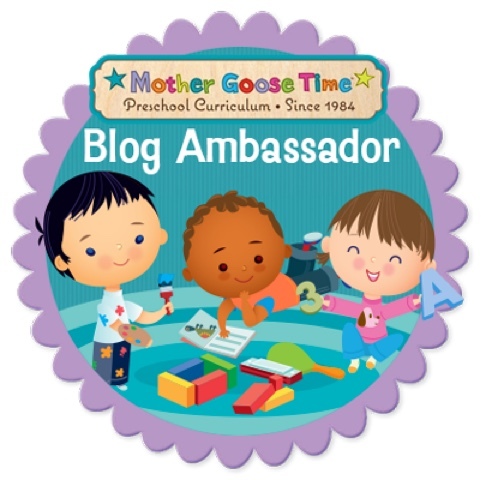 I wanted to show you one day of Mother Goose Time lessons, and to be truthful, most of my lessons take place in a somewhat messy house. It's life with two young children! 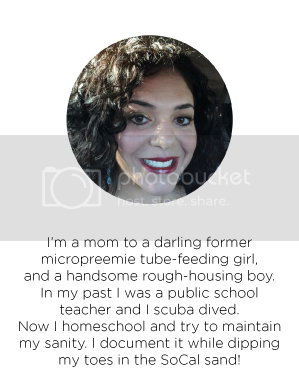 And when you're homeschooling, it's almost impossible to maintain a house of order if you want to maintain your sanity. 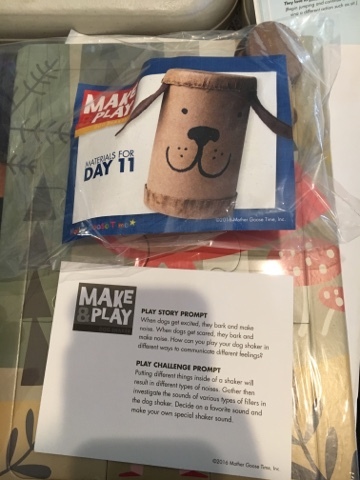 We pulled out Day 11 because the lesson was on dogs. 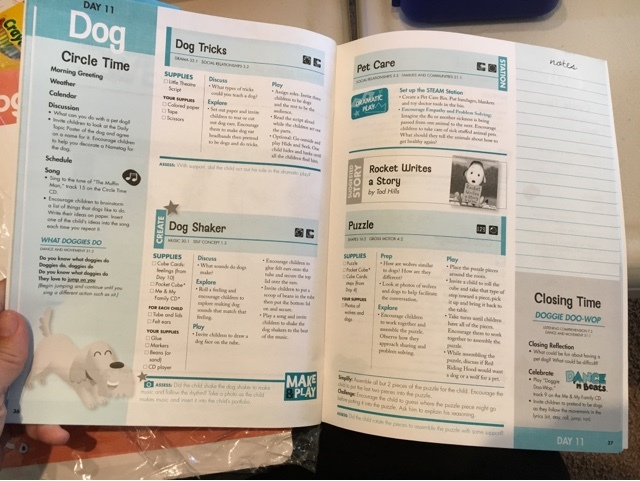 This just happened to line up with the homeschooling curriculum from my daughter's charter school on that day, which was "Pets." Perfection! I liked MGT's lesson much, much better, so I used theirs instead. 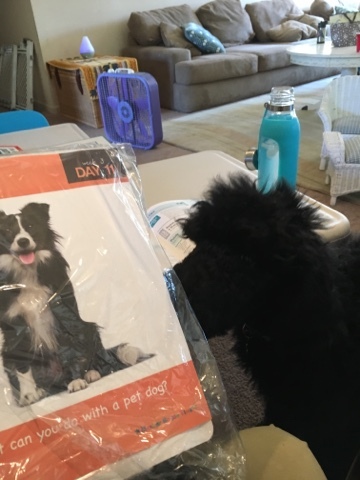 Jack the poodle is ready for his day's lesson and was ready to be an active participant as well. I chose to do three of the activities for the day. 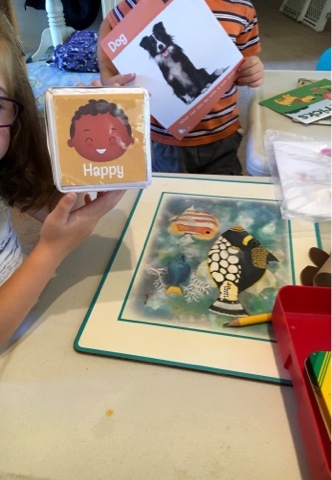 Usually I only choose one to two, but since I withdrew Tiny B from her one-on-one occupational therapy outside of the classroom, I am adding in more fine motor practice and crafts in our studies. 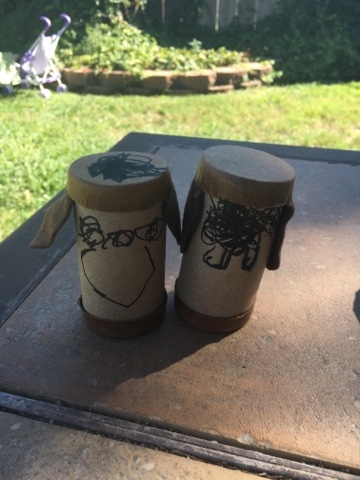 We did a "Make and Play" activity which was doggy shakers. I made sure to have them do all of the work to get as much fine motor practice as possible. MGT has incorporated these high quality puzzles this year. They are beautiful. 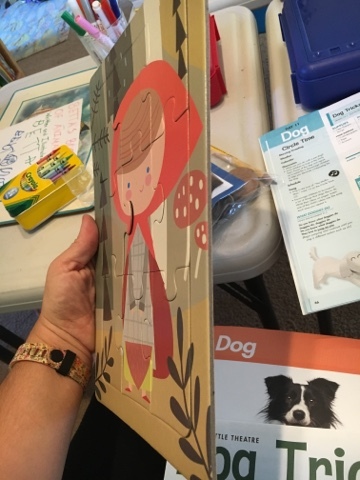 And yet another chance for fine motor practice as well as the visual practice that I don't know much about, but is so important according to her occupational therapist. 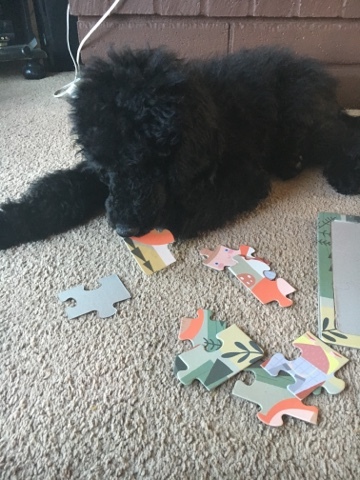 Jack enjoyed putting the puzzle together too. Coincidentally, one of the pieces is slightly gnawed off, Makes it more original I guess. 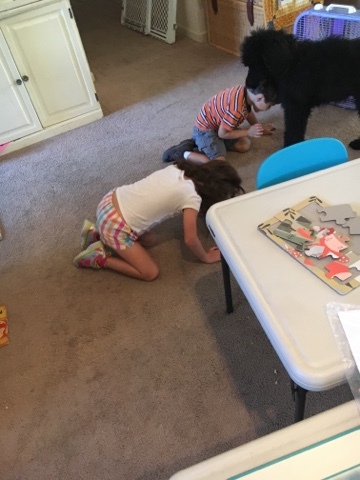 We used the new beautiful foam cube to roll different feelings and act out those feelings as a dog. Jack acted the feelings out too, but for some reason, his seemed more "real." Hmm. I'm so thankful for these fun days of Mother Goose Time and wish so badly that it could follow me through all of our homeschool days. For now, I will cherish it.